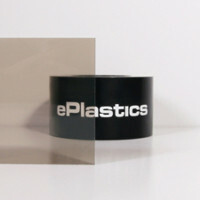 The ePlastics® online store offers up a wide array of transparent gray, bronze, smoked and gray transparent plexiglass acrylic sheets. 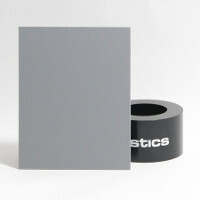 Standard tinted colors (also available in our samples section) include the bronze acrylic and gray acrylic solar control shades. The most popular colors of plexiglass in solar control tints are 2412 - a medium bronze color, and 2064 - a medium gray color. 2370 bronze is a deep brown tint (very similar in comparison to dark sunglasses) and 2074 is the equivalent in gray. Note: The color, solar energy, and transmission values do not change with thickness. 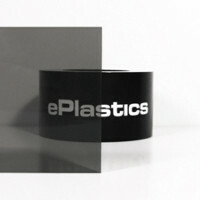 Thickness tolerances are +/- 10% on acrylic sheets and can vary throughout the sheet. Normally we see variations less than 5%. Sheets sizes can vary from the manufacturer and some are cut from larger sheets. Because of this, the sheet dimensions that are delivered are nominal and might be +/- saw cut.